Premium Construction - The abrasion-, tear-, and weather-resistant nylon fabric exterior has the modern look of brushed metal, and is reinforced with integrated bottom corner guards. Contrasting leather-look accents add rich detail. Convenient Storage - Large front zip pocket offers secure storage and access to travel essentials; two side vertical zip pockets feature mesh gussets for added capacity and Easy Access to contents. Comfortable Handling - Padded top carry grip and integrated bottom grip promote easy lifting and optimal handling. A piggy-back strap slips easily over a retractable luggage handle for transport. Roomy Main Compartment - U-shaped opening with two-way zip entry provides full and Easy Access to interior. Two on-flap mesh zip pockets keep small items within easy reach. Tech Organization - Removable padded zip sleeve protects up to a 15.5-inch laptop. Simple Separation - Floating zip-closure pouch offers water-resistant storage of toiletries and other small items. 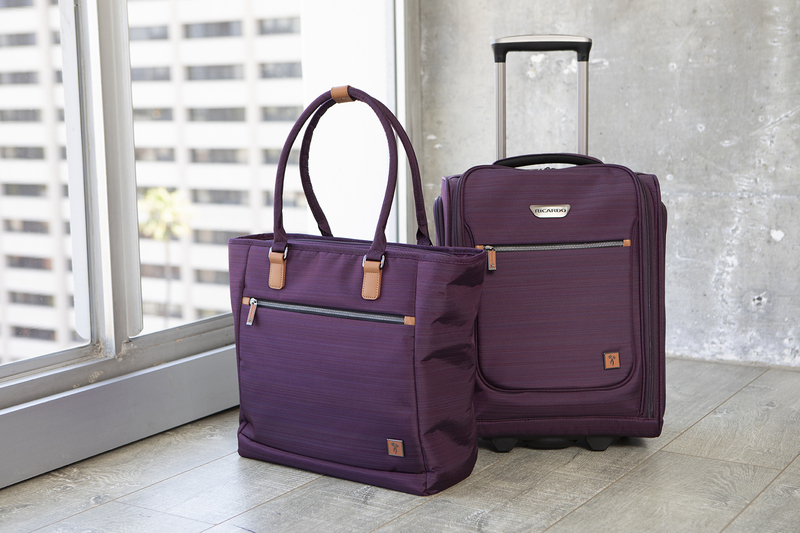 Meet your new favorite travel companion in this under-seat carry-on bag, a compact powerhouse from the sophisticated San Marcos luggage collection. Designed to keep in-flight essentials stowed conveniently under the seat in front of you, it boasts an extremely durable exterior and supportive structure that stands up to the rigors of business and pleasure travel alike. The separate, protective laptop sleeve is a handy feature at TSA checkpoints and beyond. This perfect duo let's you travel seamlessly through the airport or wherever else your journey may take you. The separate, protective laptop sleeve is a handy feature at TSA checkpoints and beyond.